As the year kicked off, climate change and clean energy advocates were teased with the prospects of another jobs bill centered on clean energy provisions and the Kerry-Graham-Lieberman climate bill. The jobs bill was rumored to include the HomeStar program, which would fund a massive energy efficiency retrofit program (the best bang for the buck in reducing emissions), while the climate bill was rumored to include a full carbon cap. Nick Santos is a former 1Sky policy fellow and now works with The Environmental Consumer in California. 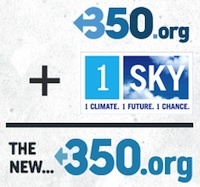 The author's opinions do not necessarily reflect those of the 1Sky campaign.